According to Hurd’s Worcester County History, Peter Aldrich was an original settler in 1710 in the Quaker Street section of Northbridge. On August 25, 1774 the Town organized the Committee of Correspondence. The Committee included Josiah Wood, Lemuel Powers, and Samuel Baldwin. Of note, Lemuel Powers was an ancestor of Abigail Powers Fillmore, 13th First Lady of the United States. 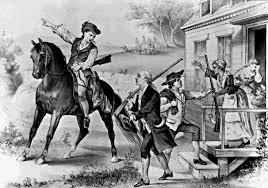 * The whole Town voted to collect guns, gun powder, and bullets and delegated David Batcheller to buy a barrel of gun powder, and lead and flints. 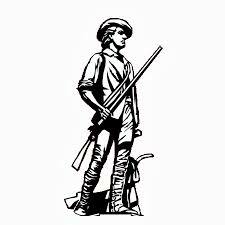 143 men from Northbridge enlisted as Revolutionary Soldiers. Click here to see their names. According to Town records John Hopkins, Joseph Wood and Amos White died while in the Centennial Army serving under Captain David Batcheller. (Source: 4) However, State of Massachusetts enlistment records do not confirm the death of John Hopkins or Joseph Wood. 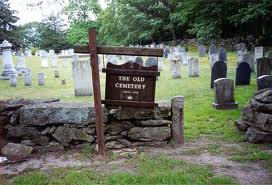 (Source: 5) The graves of many Revolutionary War Veterans can be found in Northbridge Center, Cooper Road and Carr Street Cemeteries. After the war Captain David Batcheller was elevated to a Major and was thereafter known about town as Major Batcheller. His family home was located on Benson road across from the Olson house. His grave is in Northbridge Center Cemetery. *Note: Abigail Powers Fillmore, the granddaughter of Abigail & Lemuel Powers Jr. of Northbridge, married Millard Fillmore, the 13th President of the United States. Lemuel Powers served in the Revolution and is buried at the Northbridge Center Cemetery. Her Great Grandparents were Thankful Leland and Lemuel Powers. Lemuel Powers was a town meeting official at the 1st Town Meeting. a. Charles O. Batcheller- Northbridge Historical Notes. 1660-1875: handwritten notes at Whitinsville Social Library. b. Selectmen’s meeting minutes 1772-1783: Town Hall Northbridge. c. History of Worcester County, Volume I, D. Hurd, 1989, Northbridge section by John R. Thurston, Whitinsville Social Library. d. History of Worcester County. Peter Whitney, 1994 Worcester Public Library. e. History of Worcester County, Volume II, C.F. Jewett 1879. Northbridge Section by Rev. Abijah P. Marvin, Whitinsville Social Library. f. Annuls of the Town of Mendon, 1659-1880, John G. Medcalf ,M.D. , Whitinsville Social Library. g. History of the Town of Sutton, 1704-1876, Rev. William Benedict and Rev. Hiram A. Tracy: Whitinsville Social Library. h. Old Friends and New: Jane Dudley and William Emerson 1906. Pictorial Book: Whitinsville Social Library. 2. Town of Northbridge- Bicentennial Commemorative Journal 1772-1972, Spaulding R. Aldrich, Editor. “Short Sketches” From the lives of Revolutionary War Soldiers. By Clara Fletcher Wood, Abigail Batcheller Chapter, Northbridge, Daughters of the American Revolution. Mrs. Wood was on the National Research Committee of the DAR and written about 1920. p. 29-31. 4. Selectmen’s Minutes, Town of Northbridge, 1772-1783. 5. 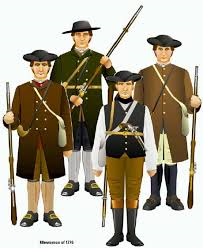 Massachusetts Soldiers and Sailors of the Revolutionary War. , Whitinsville Social Library, History Room. 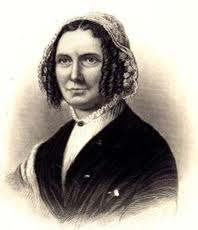 First Lady Abigail Fillmore, daughter of Abigail and Lemuel Powers, Jr. Her father was born in Northbridge. Her grandparents were active in Northbridge and are buried in the Northbridge Center Cemetery.